FujiFilm aims to compete in the small, powerful camera space dominated by Micro Four Thirds and other small cameras offering interchangeable lens capabilities: the company has just announced the FinePix X100, a small form-factor camera that aims to pack high-quality imaging in a small package, complete with bells and whistles—and manual modes—that appeal to serious photographers. 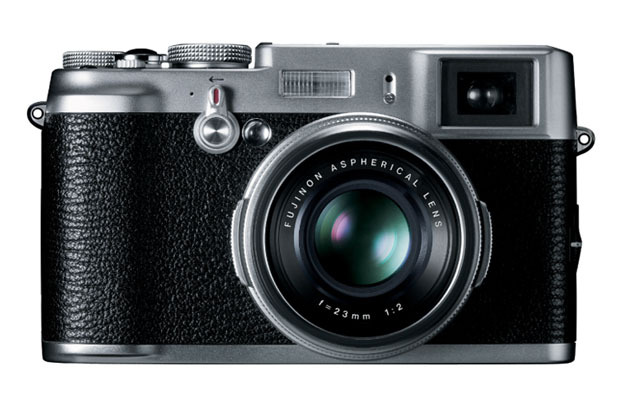 The downside for FujiFilm, though, might be that the FinePix X100 isn’t due to hit retailers until early 2011, missing the end-of-year buying season. The FinePix X100 aims to bring the quality of DSLR cameras to situations where a bulky camera just isn’t practical The X100 will feature a 12.3 megapixel APS-C sensor and FujiFilm’s EXR processor, offering both solid low-light capabilities (down to ISO 6400) as well as high-speed autofocus performance. 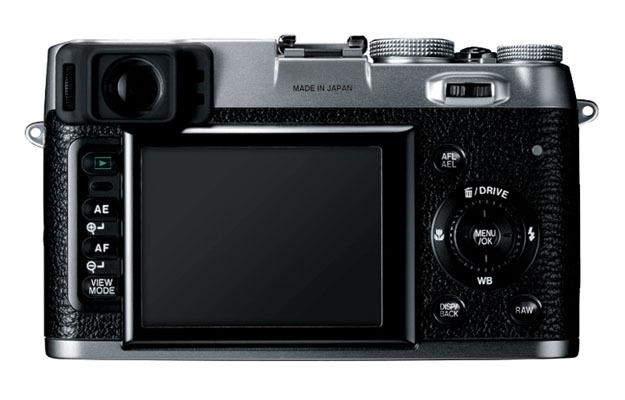 However, more significant will be the unique hybrid viewfinder technology included in the camera: the X100 will sport both an electronic viewfinder and a reverse-Galilean optical viewfinder, with a one-touch control to switch between them. The two viewfinders enable users to show both the shooting frame and a great deal of shooting data (exposure, shutter speed, etc.) enabling a wide range of creativity options, even in tough shooting conditions. The X100 will also be able to capture 720p high-definition movies, a 2.8-inch LCD viewfinder, a 5 frames-per-second continuous shooting mode. The X100 will accept SD/SDHC/SDXC memory cards, and offer a full manual mode for photographers who like to tweak every little parameter. The camera will also offer a hot shoe for flashes and accessories, and will ship with a 23mm F2 Fujinon lens. FujiFilm hasn’t announced any pricing for the FinePix X100, but if it doesn’t cost significantly more than competitors in the Micro Four Thirds and mirrorless camera market, the company could have a serious contender on its hands. FujiFilm says the FinePix X100 should see commercial release in “early 2011″—of course, by then, competitors will be well along on their next generation of compact high-quality cameras.